During the winter months, most tourists visit the Zakopane region in southern Poland for its skiing and snowcapped mountains. Well, we went in the middle of summer for the bacon, oscypek cheese and the beautiful hiking trails in the mountains. Honestly, the bacon just happened to be an accidental benefit! 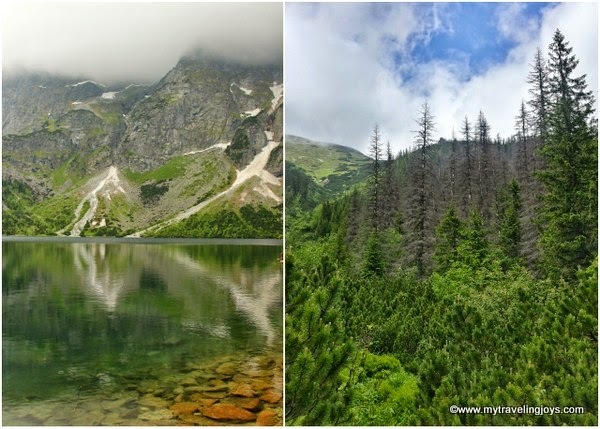 One of the highlights of our summer trip to Zakopane was hiking to Morskie Oko, which means “Eye of the Sea,” the largest lake in the Tatra Mountains located deep within the Tatra National Park. Local legend claims it was named as such because the lake was connected to the sea via an underground passage. Interesting! Me taking a break at Morskie Oko. The roundtrip hike to Morkskie Oko is 18 km (11 miles) from the nearest road where we parked our car. The lake is bardzo popular so many mini-buses from Zakopane travel here as well. Honestly, most of the hiking trail wasn’t that interesting since it’s a long, paved blacktop, but you are surrounded by lots of greenery. However, one stretch did have us climbing over some tricky boulders to join the next section of the trail. And if you don’t want to walk the whole way, there are horse-drawn carriages that will take you about 7.5 km one way for a nominal fee (about 30pln or $10). I wish we had opted for the horses, at least for the uphill hike, because my legs were on fire the next day! Once you reach the lake, you enter through a small pass and then you are entirely surrounded by the mountains. 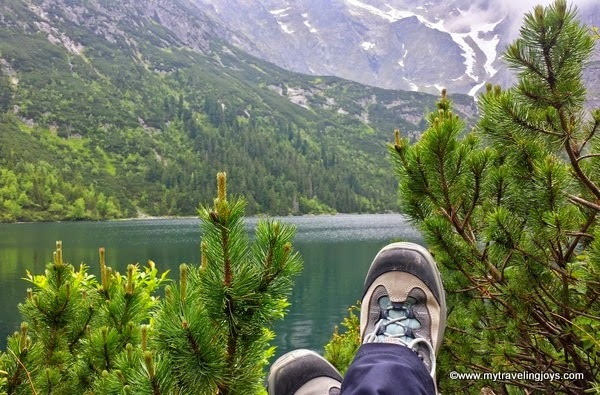 Morskie Oko, with its clear blue-green waters, stands before you in all its natural beauty. The lake covers about 35 hectacres and looks as if it’s occupying a huge crater. Unfortunately, on the day we arrived at Morskie Oko, the skies were overcast and depressingly gray, which later turned into a little bit of rain. Still, the lake is beautiful! 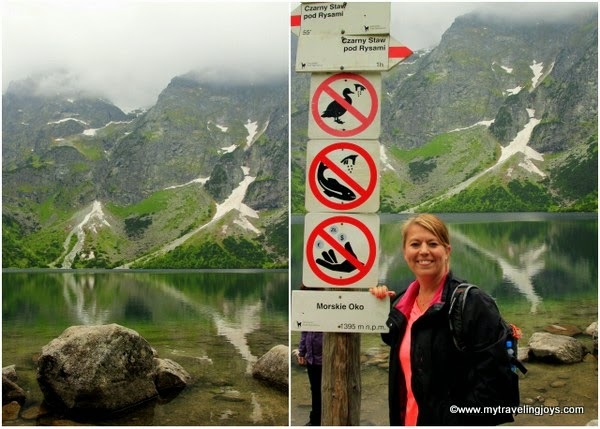 In fact, last year, the Wall Street Journal called Morskie Oko “a hidden gem” and one of the world’s great lakes. We admired the lake, took a bunch of photos and opted not to walk around the entire lake because of the uncooperative weather. The hut of the Polish Tourist Country-Lovers' Society (PTTK) is located close to the lake and is the oldest chalet in the Tatras. 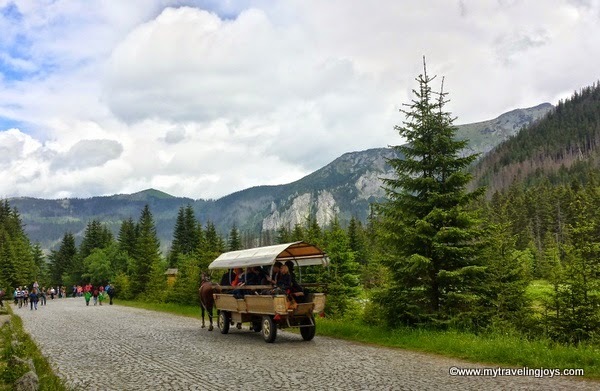 After our looong hike, we decided to visit Slovakia – just because we could! We literally drove across the border (about 15 km/9.5 miles) and stopped in the tiny town of Ždiar, situated between the mountains of the Belianske Tatra and Spišská Magura. Ždiar looks quite lovely, doesn't it? We stopped at the chalet-looking Penzion Kamzik where our friendly waiter served us some hearty Slovakian food and local pilsner beers. We warmed up with two bowls of super garlicky soup (cesnaková polievka), which reminded us of a similar soup we’ve tried in Budapest. 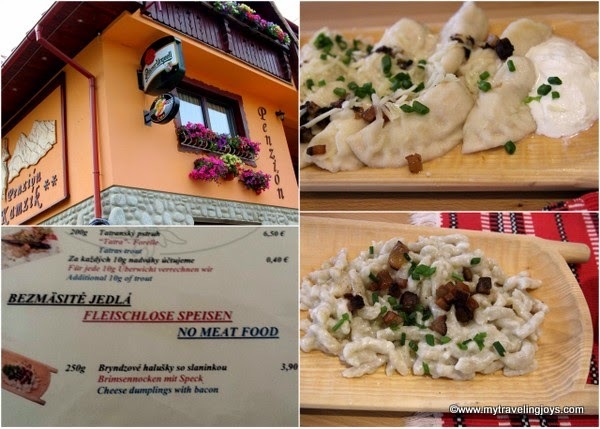 I ordered a “vegetarian” dish which was cheese dumplings with bacon bits (bryndzové halušky so slaninkou). I didn’t know that vegetarians like bacon! Well, at least they do in Slovakia! Because everything tastes better with bacon! We really enjoyed our summer weekend in the Tatras and would love to return during the winter season. I just wish the trip didn’t take six hours by car from Warsaw. 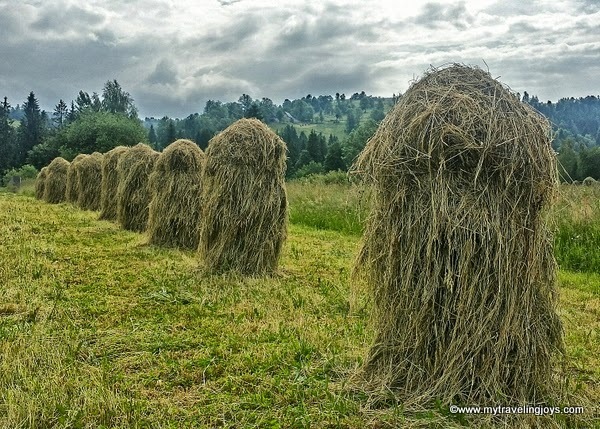 These funky Polish haystacks (stogi siana) around Zakopane reminded me of Cousin Itt from the Addams Family TV show. These Polish haystacks were even taller than me! I absolutely loved this smoky, salty oscypek cheese from the Zakopane region. It's usually served sliced, grilled and topped with a dollop of tangy cranberry jam! Ahh, but just think how much good the hiking will have done for you. :) Beautiful scenery...and bacon, too. 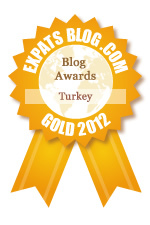 It's won me! Hi Alan! Yes the Polish countryside is beautiful! And we would have liked to seen fewer tourists here too. Sigh.